Next Branch Executive Committee meeting will be on Thursday 25 April 2019 at 1pm in the Campbell Room, the NAB. We are the trade union branch representing civilian staff who work for Northamptonshire Police. As well as representation at work if you are going through a disciplinary, fairness at work, capability, attendance management or other formal process, we can offer welfare support, legal assistance, financial support and advice, debt advice, free learning opportunities and discounts on services such as insurance. Our branch officers represent members' interests regarding equalities, education and health and safety. 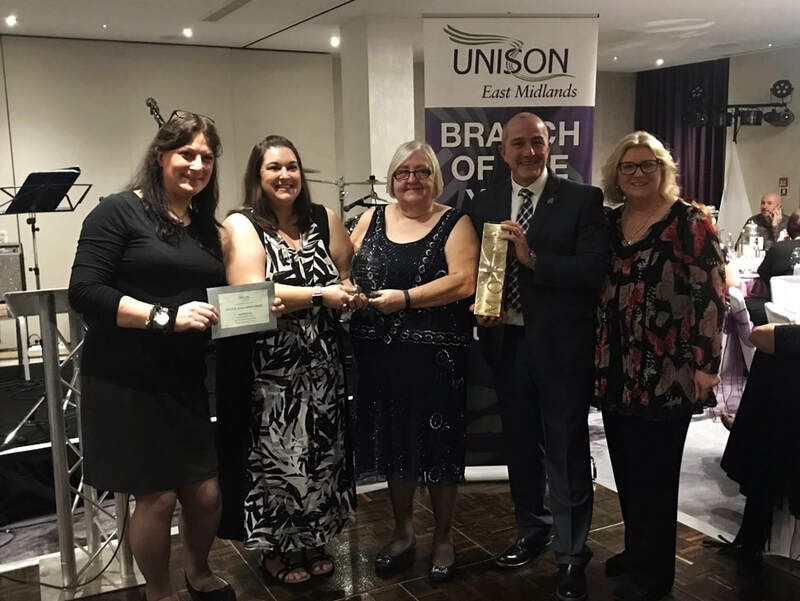 Proud winners of the East Midlands Police and Justice Branch of the Year 2017 and 2018!